As a general rule, it is always difficult to take a good picture during humid and foggy early spring because there is not enough sunlight and the camera is easily got wet. However, if you can overcome the above difficulties, you will have a unique picture. 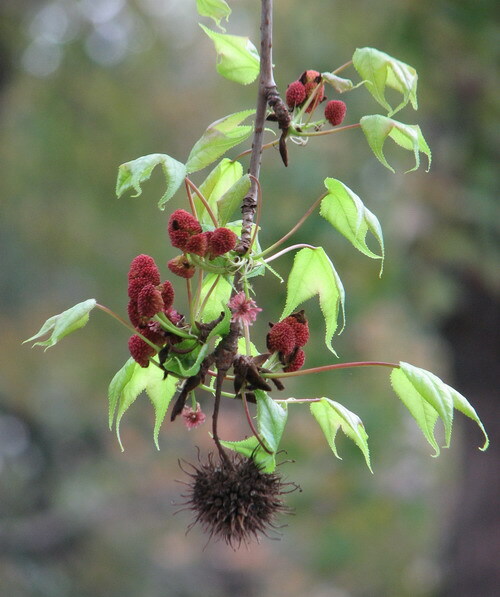 Trees in family Hamamelidaceae are flowering in February, the most familiar example is Sweet Gum. The flowers are unisexual, they are blossom in the most humid spring. 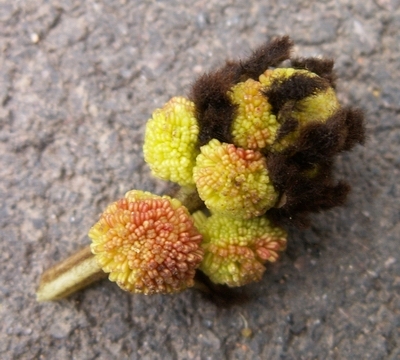 The male flowers are fallen down first and the female flowers are nurturing into fruits gradually. The seeds will then fall on the ground, left only the fruit shells on the tree for a few months. You will probably miss the male flowers if you only appreciate this tree on a sunny day. There are many black and small scales on the male flowers (top left picture), they look like hair. 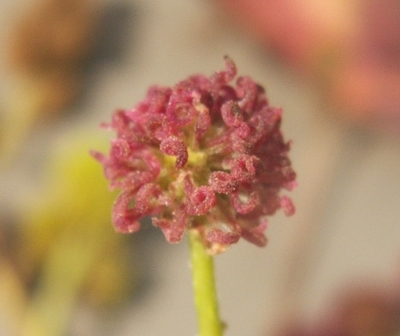 The female flowers grouped in solitary spherical heads (top right picture) stay on the trunk. The picture at the bottom including the male flowers, the female flowers, the fresh leaves and the spherical heads since last year is the best Sweet Gum shot! The Chinese name of Sweet Gum楓香 is based on its three-lobed, maple-like leaves and it has scent. The genus name in its scientific name ‘Liquidambar formosana’ has its meaning, 'liquidus’ means liquid, ‘ambar’ is amber, implying this tree can general fragrance sap.